Anytime I’m perplexed in the kitchen I head over to Serious Eats to figure out what is going wrong. Sure enough, I’m not the only one that has experienced this issue when cooking meatballs in a slow cooker. Being a test kitchen, they figured out how to make incredible sauce, tender meatballs, and managed to avoid adding a bunch of extra steps in the process because when it comes to slow cooker recipes, we are looking for minimal fuss! So for this recipe, I used my friend (and coworker) Teenie’s Homemade Italian Meatballs (with a slight alteration), added them to a grape jam and BBQ sauce recipe from Julie (another friend and coworker), and used the technique suggested by Serious Eats to come up with a moist and tender slow cooker meatball in a sweet and spicy sauce. These are perfect game day food! Turn on broiler. Line a sheet pan or two with parchment and set aside. 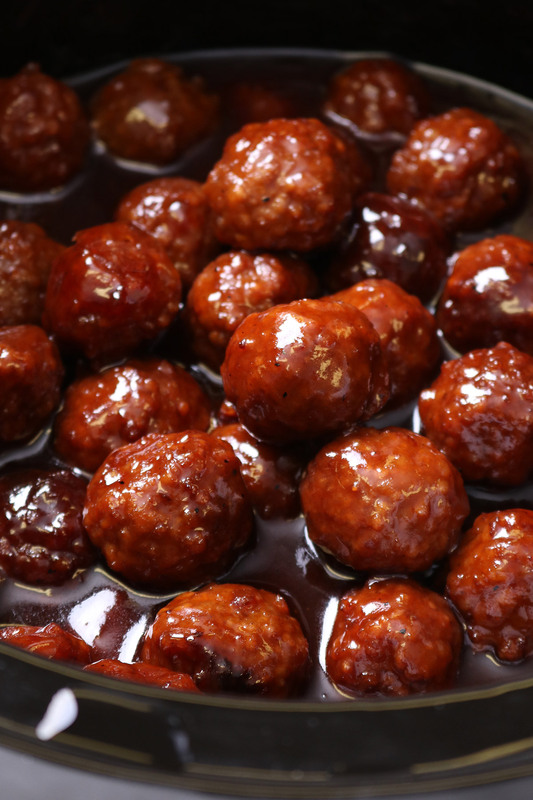 Set aside ½ cup of the meatball meat to use for the sauce. 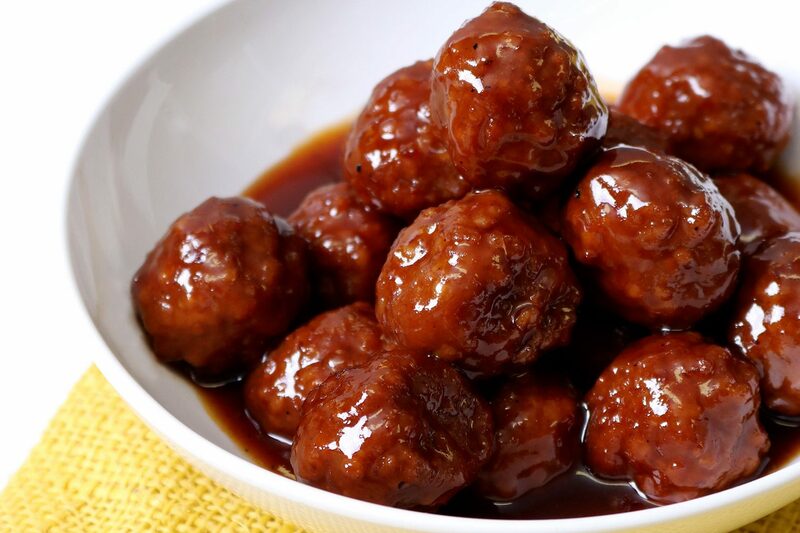 Shape the meatballs into ping-pong size meatballs (1 heaping tablespoon; should make approximately 32 meatballs). Arrange on the sheet pans and broil for 6 or 7 minutes or until the meatballs are browned on top. Transfer to a plate, let cool, then cover with plastic wrap and refrigerate until ready to use. I par-broiled my meatballs the night before. Gently add the meatballs into the sauce for the last 30 minutes of cooking. Enjoy!